Our research encompasses clinical trials, basic research, and translational research. We are a national leader in academic anesthesiology research, consistently ranked as one of the top anesthesiology departments in the nation in NIH funding. 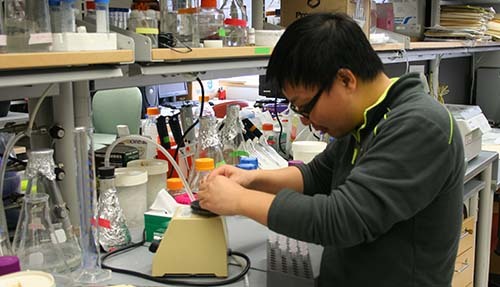 The University of Pittsburgh provides state-of-the-art facilities, including a $200 million, 10-story Biomedical Research Tower, offering access to sophisticated NMR equipment and various high-tech services such as imaging, simulation, and peptide synthesis. The Department of Anesthesiology and Perioperative Medicine also fosters important collaborations with scientists from other departments at the University, including Pharmacology and Chemical Biology, Structural Biology, and Neurobiology.